The first time I attended a hospital birth with a midwife I was very surprised what I saw. I had attended so many births with OBGYNs that I almost wasn't sure what a Midwife does. Midwife Christine Hackshaw of Midwifery Women's Care, applying pressure to first time mom Emily's lower back during a contraction. Last March, I hosted a "Match Your Midwife" event at the Women's Center at Boca Raton Regional Hospital. Midwife Courtney McMillian from Boca Midwifery spoke about the different kinds of midwives that there are. Certified Midwife (CM): Certified Midwives are individuals who have or receive a background in a health related field other than nursing, then graduate from a masters level midwifery education program. They have similar training to CNMs, conform to the same standards as CNMs, but are not required to have the nursing component. Certified Professional Midwife (CPM): The vast majority of direct-entry midwives in the United States are Certified Professional Midwives. The CPM is the only midwifery credential that requires knowledge about and experience in out-of-hospital settings. Their education and clinical training focuses on providing midwifery model care in homes and freestanding birth centers. In some states, CPMs may also practice in clinics and doctors offices providing well-woman and maternity care. 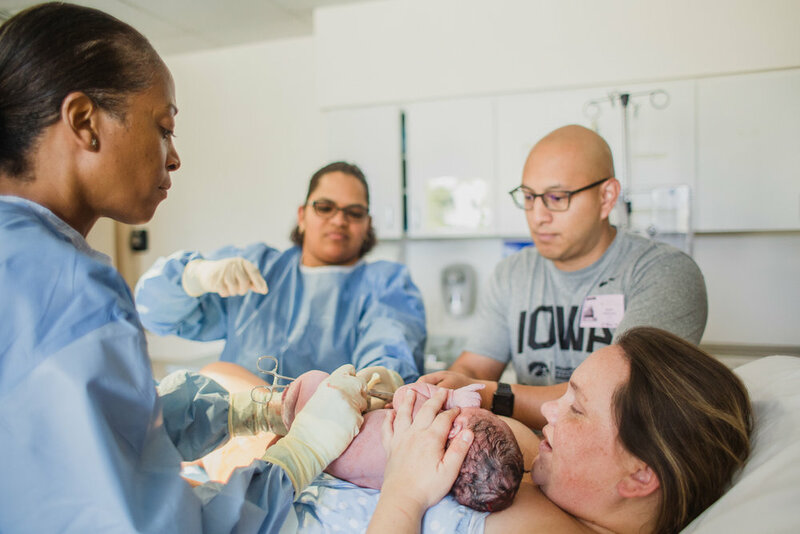 What I learned and observed at my very first birth with a midwife was that most women who choose a midwife for their prenatal care, labor and delivery are looking to have a less medical intervention approach to their entire prenatal and birthing experience. Midwives generally work with low risk pregnancies, but they also can serve as a woman's gynecologist. As an example, I see a midwife as my gynecologist. Midwives also work with their patients regarding family planning, monitoring pregnancy, labor and delivery, postpartum and newborn care. But they do so much more than that. Many of our local midwives in Boca Raton in addition to obstetrics and gynecology, also care for women in the fields of menopause, adolescence and teenager care. At births, often times I will see a midwife help with the delivery of baby for mom, help with the delivery of the placenta, the cutting of the cord and any stitches mom may need in the case of tearing, and then help mom get baby latched on for breastfeeding. What I have seen from the distance as a birth photographer on my client's birth team, sometimes in the case that a pregnancy (or a labor) may become high-risk, an OBGYN who works closely with the midwife will step in to assist with prenatal care or in the case of birth, to assist in the delivery of the baby. However, depending on the practice, I have seen midwives (such as Midwifery Women's Care and Boca Midwifery) successfully helping mommies with vbacs (vaginal birth after c-section) and I even recently attended a vba2c (vaginal birth after two c-sections) with Courtney McMillian at Boca Midwifery. In the case of a cesarean section, OB doctors will step in to do the surgery. What I personally have loved about working with Boca Midwifery when it comes to a mom needing a c-section is that their midwives tend to attend the csections in the operating room for their own patients who they have seen throughout their pregnancy who may have become high-risk due to a developed medical issue in pregnancy, or if they needed a cesarean during labor. For me this is everything. 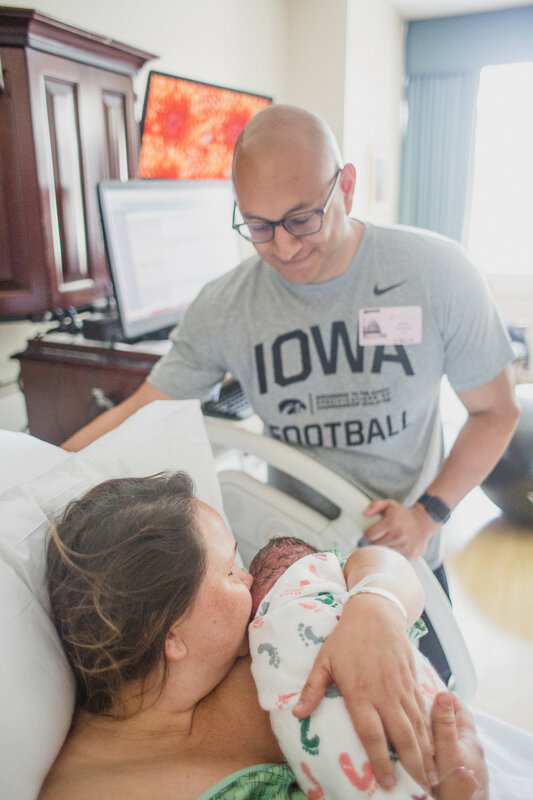 I am a huge proponent of supporting birthing women in all stages of their journey, and to have the midwife who you've trusted your entire pregnancy journey, go with you into the operating room when your birth unexpectedly calls for it, means everything. So much fear fades and so much trust grows in its place. When working with an OBGYN, I have personally experienced them typically heading to the hospital (they are usually about 5-15 minutes from the hospital here in Boca Raton) when the nurses update them that the mom is around 8 - 9 centimeters dilated. They usually arrive and wait for mom to get to 10 centimeters dilated and then help mom with pushing. I have seen this common practice at most hospitals throughout south Florida from Miramar/Pembroke Pines all the way through Jupiter, FL. Even in the case where generations of women have used a specific OB (mom, daughter), I cannot recall a single birth in one month shy of four years of birth photography where an OBGYN came and sat with a mom for 4-6 hours of her active labor prior to delivery, (with the exception of retired OBGYNS who are the fathers of my laboring client, attending their birth as a support part of their birth team, not as the delivering OB). Many first time moms (and even second and third time moms) will be in labor anywhere from 10 - 24 hours). And you only get to 10 centimeters dilated at the very tail end of that labor process. The first few hours may be manageable, but once things pick up, many women find themselves needing pain management techniques as well as someone to keep them focused, empowered and encouraged. So it is not ideal to only rely on your OBGYN and labor and delivery nurses for support and encouragement, as they will not be spending 90% of your earlier labor with you. I do not say that to dissuade you from using an OBGYN for pregnancy and delivery though. As there are many benefits and pros of using and staying with an OBGYN. I personally used an OBGYN for the first 20 weeks of my second pregnancy (Dr. Jane Rudolph from Women's Health Partners off of SW 18th Street in Boca Raton, FL) and I absolutely adored every waking minute of my time spent during prenatal visits with her. She was patient, kind, incredibly sweet and warm and compassionate. She'd take the time to ask about my questions and concerns and go through them all. She spoke to me on a personal level about her own kids and pregnancy journeys. She'd end every visit with an exceptionally warm and tight hug. I trusted her completely and felt so warm and safe under her care. And staying under that type of care for a woman's entire pregnancy is definitely an incredible plus. However, it is important to consider what is your individual need for labor support. For women who know they will need a professional who is well educated on pregnancy, labor, birth and post partum to be at their side through labor, who will not have to run off because they are working with other patients (as labor and delivery nurses are often called to do), a highly hospital natural birth experienced labor doula maybe an important consideration. I encourage moms to make a list of their personal needs and expectations for their pregnancy, their labor, their post partum, and evaluate if a labor doula, a midwife, a post partum doula or a registered baby nurse could fit in those needs. In contrast, in my personal experience having worked with a few hospital midwives, I have witnessed midwives from Boca Midwifery (Courtney McMillian and Polina Goldenberg) and Laurie Gibbons from Women's Health Partners, Kathy Fair and Christine Hackshaw from Midwifery Women's Care and Kathleen Philbin from Select Women's Healthcare sitting for hours with mom, often times on the foot of her bed, sharing positive words of support, advice on how to breathe through contractions, suggestions on position changes to alleviate some pressure / getting baby in a better position, and I have often times seen these midwives provide touch-support to mom. Touch support I would say can range anywhere from applying pressure to the hips or lower back during contractions to running fingers along mom's arms and shoulders along with light pressure for a soft massage. And even applying cold compresses to mom's neck and forehead. 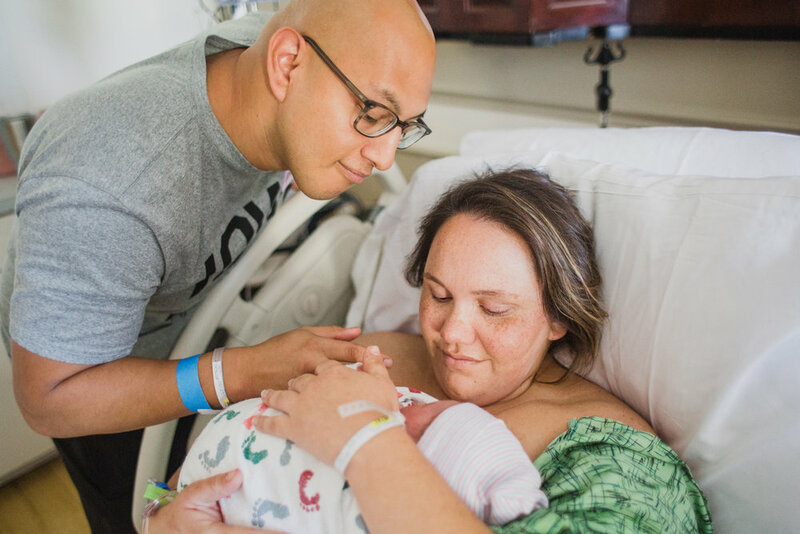 This form of extensive support during active labor and end stages of labor can be so crucial and encouraging to laboring moms. 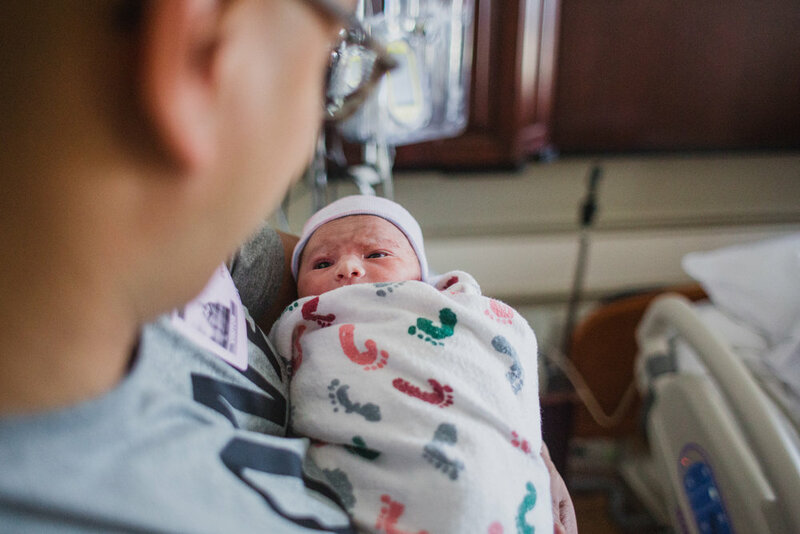 Below, you'll find a list of questions to ask a midwife or OBGYN during your first consultation with them to make sure they are the right provider to suit your personal needs and expectations, as well as questions to ask closer to the third trimester. If you'd like to go to a page where you can more easily print them, click here. Newer PostWhat to ask a Midwife or OBGYN when meeting them for the first time?